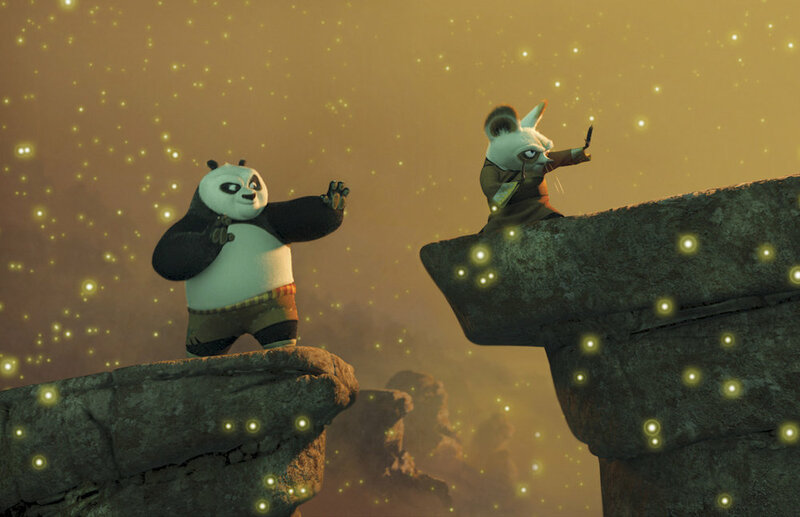 Kung Fu Panda Page — Happy Product, Inc.
Click for a Kung Fu Panda surprise! "At once fuzzy-wuzzy and industrial strength, the tacky-sounding “Kung Fu Panda” is high concept with a heart. Even better, this animated feature from DreamWorks is so consistently diverting and visually arresting that it succeeds in transcending its storybook clichés. The tale has the consistency of baby pablum — it’s nutritious and easy on the gums — but there’s enough beauty and pictorial wit here from opening to end credits, enough feeling for the art and for the freedom of animation, that you may not care." "That outsider is even more irresistible when nestled amid so much lovingly created animation, both computer generated and hand drawn. The main story, executed via 3-D animation (all done on computers) and directed by John Stevenson and Mark Osborne, fluidly integrates gorgeous, impressionistic flourishes with the kind of hyper-real details one has come to expect from computer-generated imagery: photorealistically textured stone steps, for instance, and fur so invitingly tactile you want to run your fingers through it. 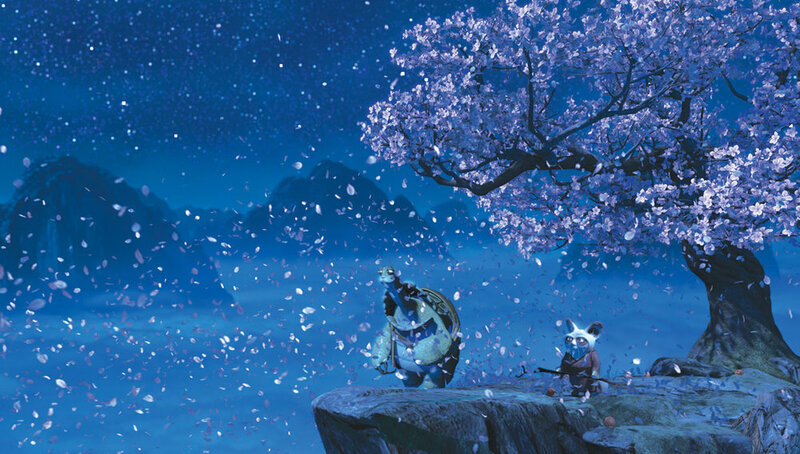 One of the pleasures of “Kung Fu Panda” is that instead of trying to mimic the entirety of the world as it exists, it uses the touch of the real. The character designs may be anatomically correct, but they’re cartoons from whisker to tail." Starring: Jack Black, Dustin Hoffman, Angelina Jolie, Ian McShane, Jackie Chan, Seth Rogen, Lucy Liu, David Cross, Randall Duk Kim, James Hong and introducing Riley Osborne (as Baby Tai Lung).